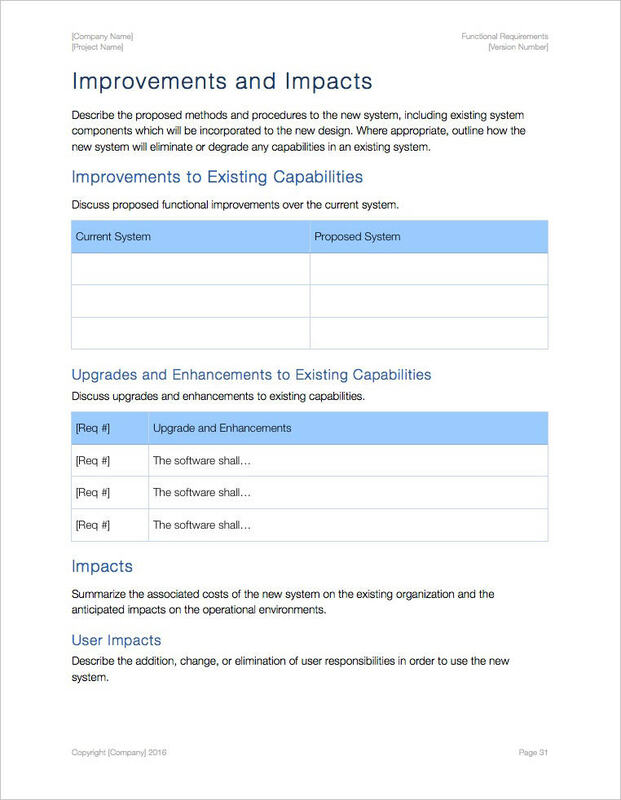 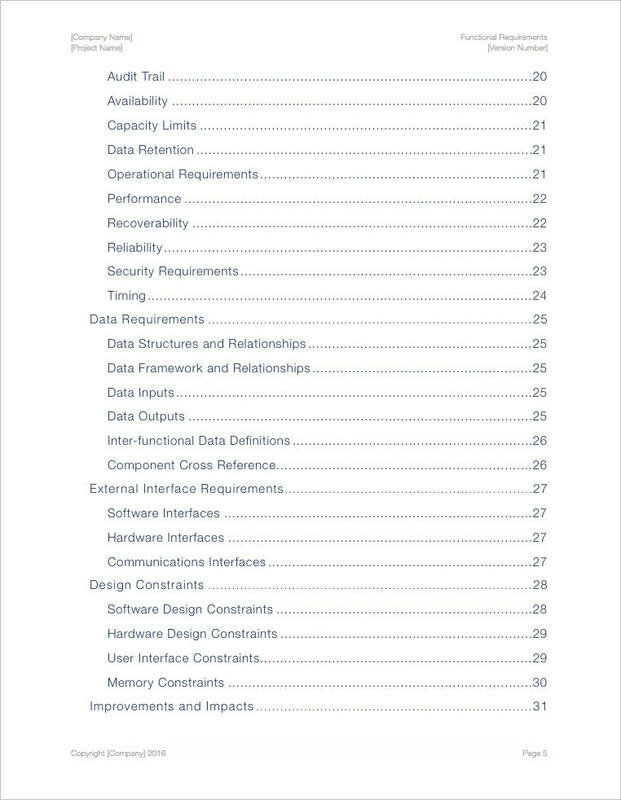 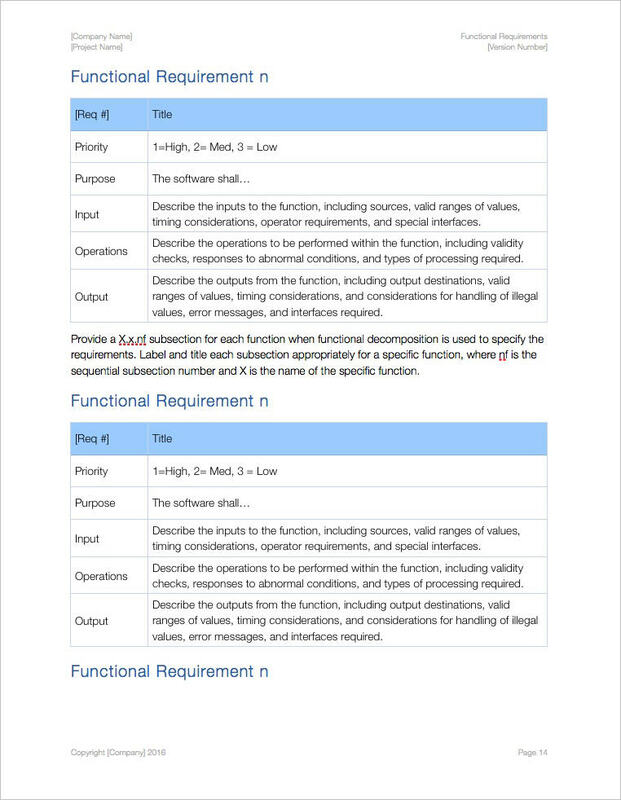 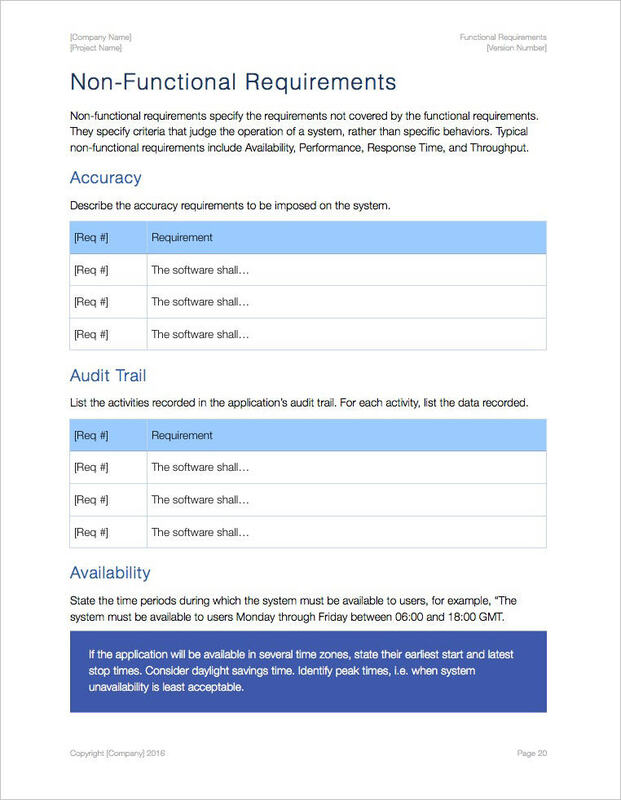 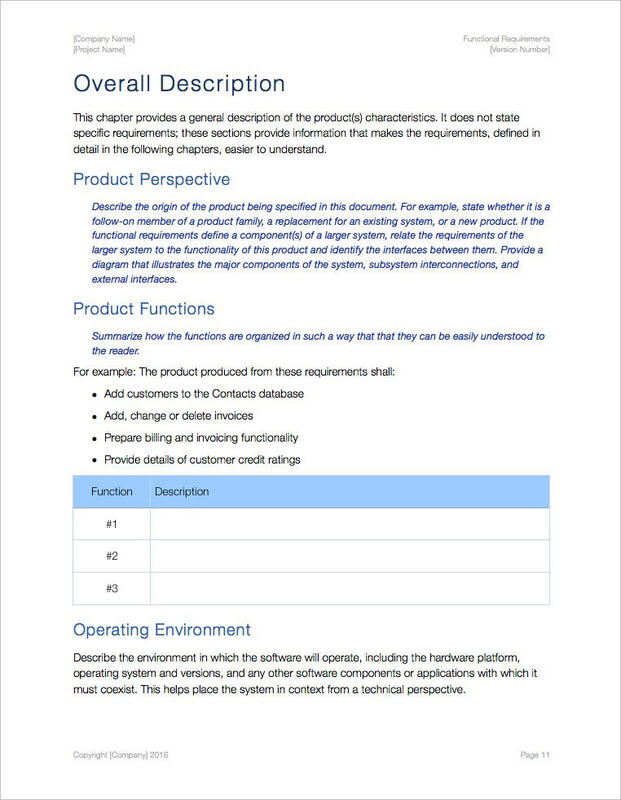 Use this Functional Requirement template – iWork Pages 27 pgs – to define a function of a software system and how the system must behave when presented with specific inputs or conditions. 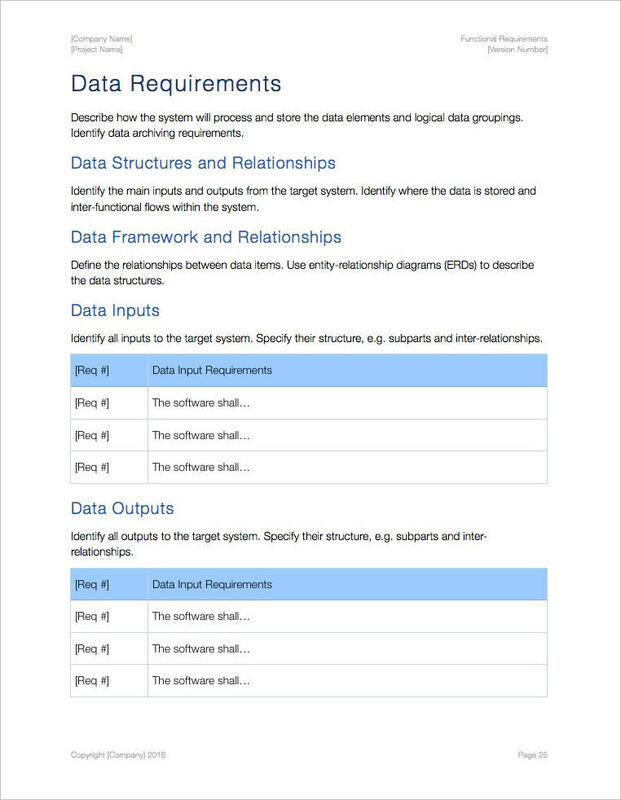 These may include calculations, data manipulation and processing and other specific functionality. 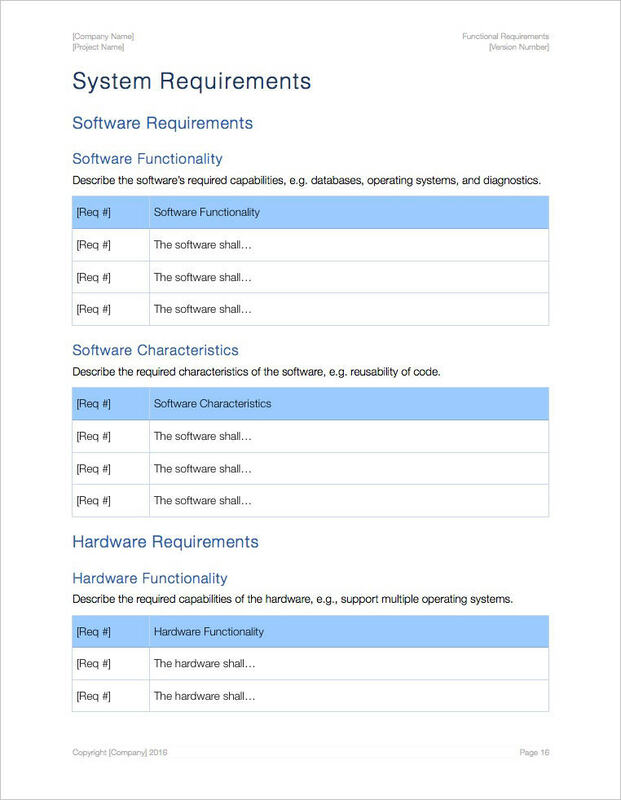 Specify particular behaviors of a system. 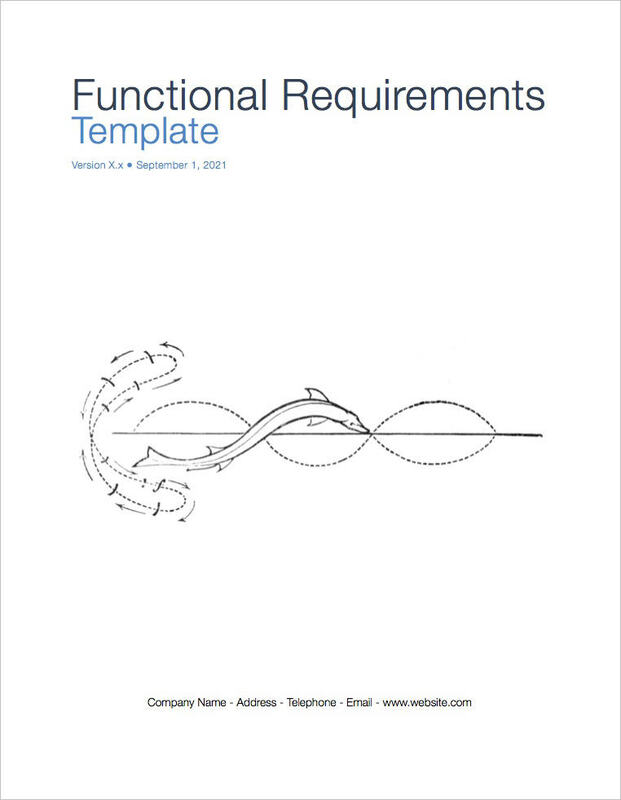 Help the reader understand why a requirement is needed. 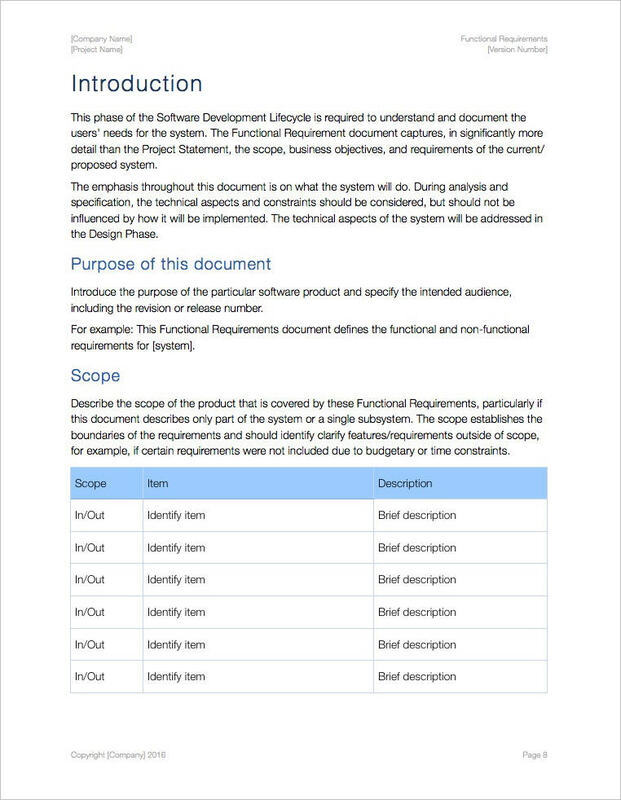 Track requirements through the development of the system.